Hayden McLean in action for the Swans during their NEAFL practice match agains the Canberra Demons. The Sydney Swans have allocated rookie Hayden McLean with the number 41 jumper for the 2019 season. The 20-year-old joined the Swans from South Adelaide in the SANFL under the pre-season supplementary list rules just weeks before the start of the season. Some famous names have worn the number 41 jumper at the Swans in recent times with premiership ruckman Shane Mumford and livewire forward Tom Papley both having worn the jumper. Mumford went on to play 79 games in the red and white including the 2012 premiership victory while Papley recently moved to the number 11 jumper after spending the first two years of his career in the number 41. 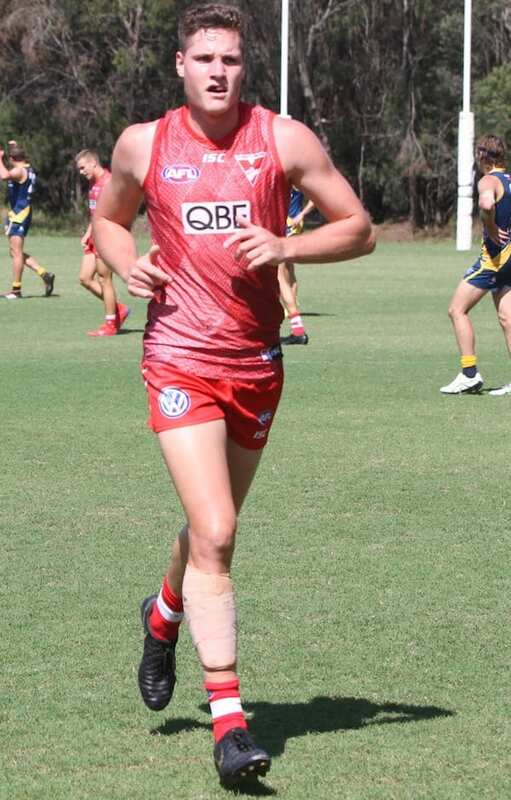 McLean played between the ruck and forward line in the Swans NEAFL practice match against Canberra Demons on Saturday afternoon.